DNF Finished 10 Hang Power Snatches. I did better than those that did or will not do it!! Good job to the teams that did HOA!! That picture is BOSS with Rachael, Callie and Meredith. These girls get after it! A big Congrats to all the CF Jenks HOA competitors. Way to represent! Hope everyone enjoys the Columbus Day Chipper and your Columbus Day. God Bless America! 2 history questions you’re asked every year from 3rd grade up…. Died.. literally. Quit twice, so nauseous and only finished cause Angie pushed me. 37:?? Are You Smarter than a 3rd Grader??? Depends on the questions, lol. Ships were Nina, Pinta, and Santa Maria. 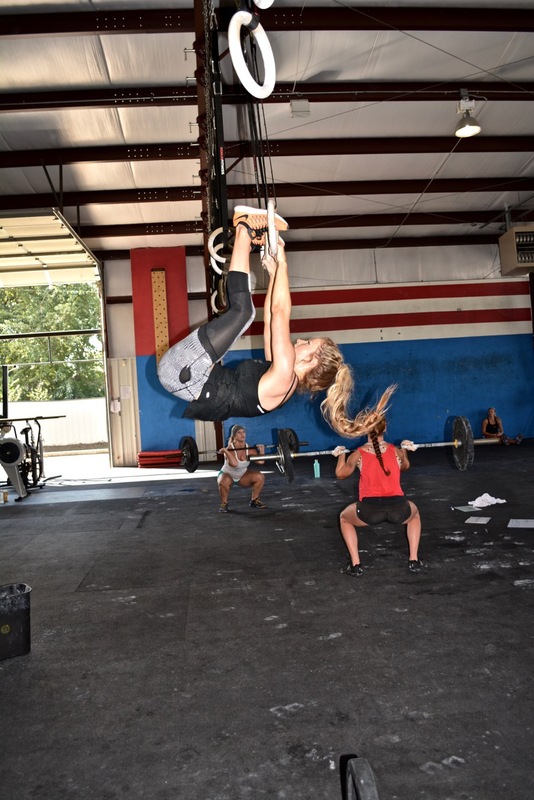 WOD as Rx’d = 30:30….way too many pull-ups for me! Eli Whitney, I believe invented the cotton gin. I think…. Really tough, even with light weight. So. Many. Pull-ups. Wod rx’d: DNF… Some selfish kid needed a ride. Good push Nate hope you finished strong. Super tough, glad I made the time cap. Don’t think I could have done any better today!